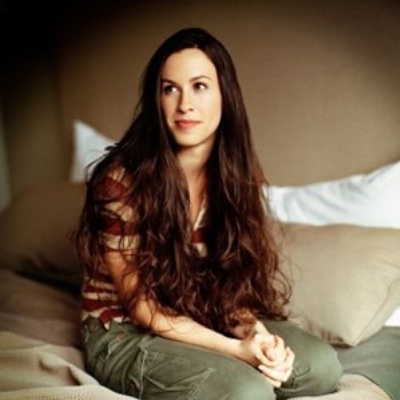 Alanis Nadine Morissette (born June 1, 1974) is a seven time Grammy Award-winning Canadian singer-songwriter of alternative rock/pop music and occasional actress. She is the best-selling female rock artist of all time. Her international debut album Jagged Little Pill (1995) became one of the most successful albums of all time with total worldwide sales estimated at thirty million copies. Five more studio albums followed – Supposed Former Infatuation Junkie (1998), Under Rug Swept (2002), Feast on Scraps (2002), So-Called Chaos (2004), and Flavors of Entanglement (2008).